Yes, it’s that time again people. 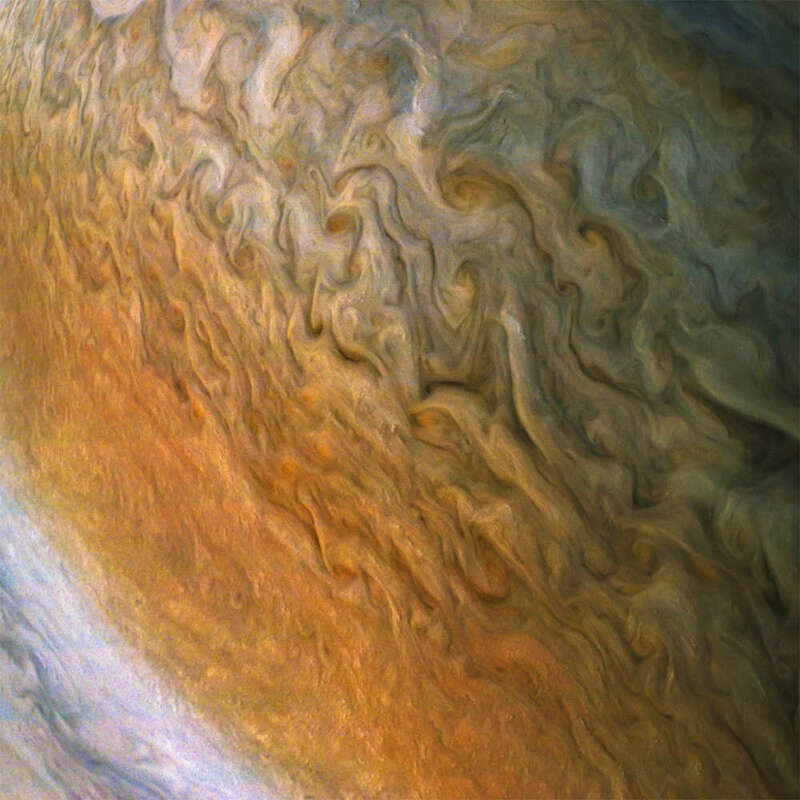 Time to look at the latest processed images of Jupiter from NASA’s Juno spacecraft and stare in awe at this magnificent gas giant. These latest images were all taken on Jupiter’s most recent pass on December 16. Regular readers here will be used to seeing images like this. 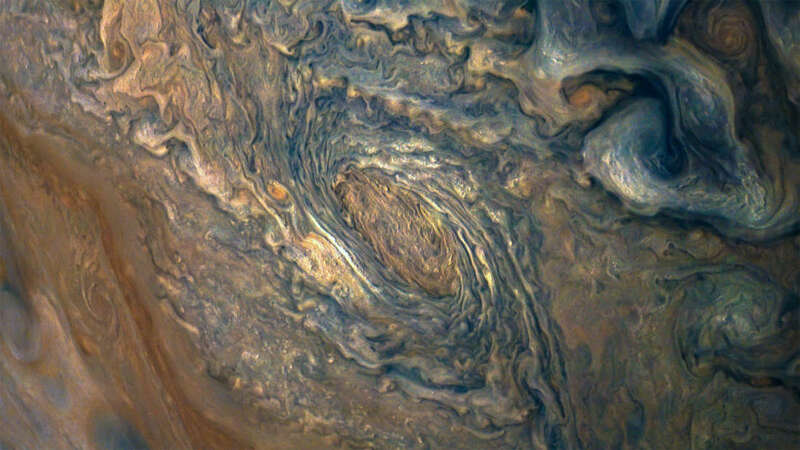 Juno makes a pass of Jupiter every 53 days, and when it does, it returns a batch of amazing pictures. These are processed by citizen scientists into the glorious images you see below.One of those citizen scientists is Seán Doran, a freelance visual artist from the UK who you can find on Flickr and Twitter. He’s responsible for a lot of the best views we get from Juno, although of course others play their part too. 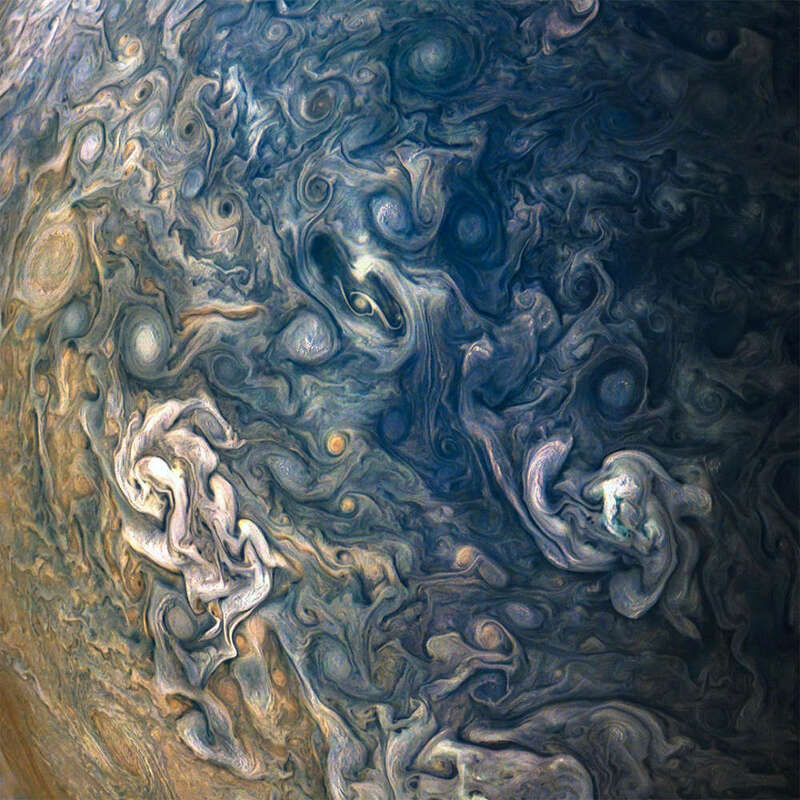 “I use standard Photoshop techniques to enhance the colors and detail already present in the source data returned by Juno,” Doran told IFLScience. He works his magic on the images after fellow citizen scientist Gerald Eichstadt has processed the raw images first, stitching them together to create full pictures. That’s no mean feat, as Juno is rotating twice per minute, so it can be complicated getting the shots together. “My current process is ever changing, much like Jupiter itself, and I tailor the techniques used depending on the content of the image,” said Doran. No colors are added to the images, instead, he isolates and exaggerates differences in the images to bring out the colors that are already present. So what you’re seeing is not too far removed from what the naked eye would see. 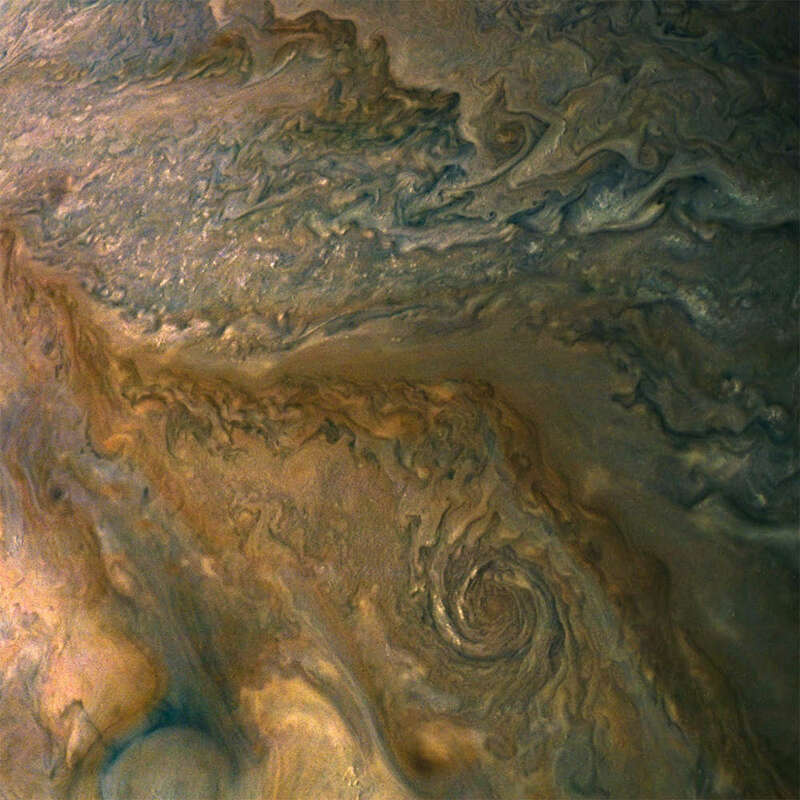 "I have been amazed and impressed by the Juno images when I discovered them back in May 2017," said Doran. "It has been a great learning experience as well as a fun social experience sharing what I do." 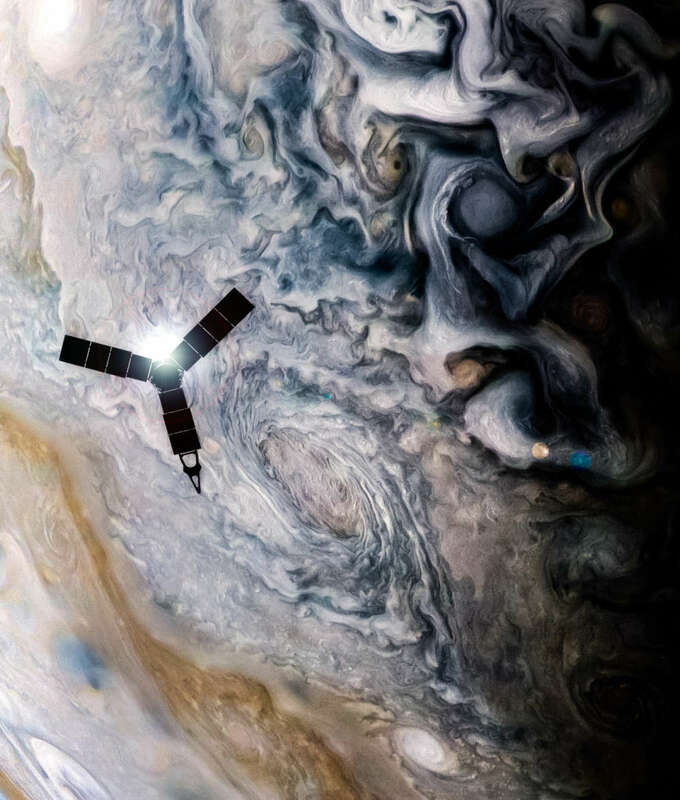 Juno has been in orbit around Jupiter since July 2016. The plan was to put it into a lower orbit around the planet, meaning it would make more flybys. But a valve failure meant NASA kept it in its current 53-day orbit. This sees it swing down to a few thousand kilometers from the cloud tops, and then up to 3 million kilometers (2 million miles) away. 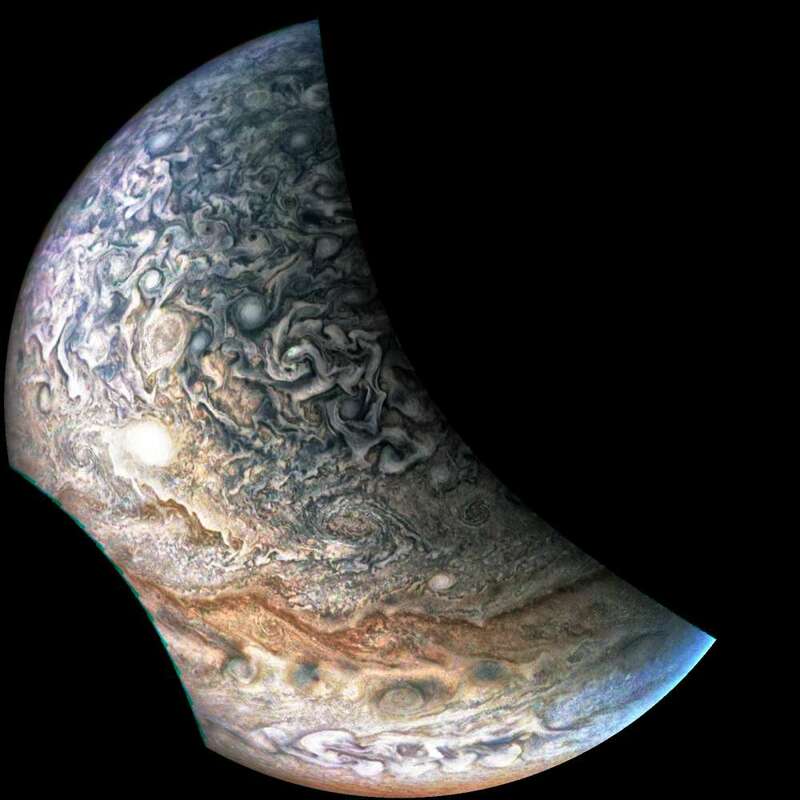 The next close pass of Juno will take place in February 2018. You can be sure Doran and others will be ready and waiting to show us the latest stunning views from the spacecraft. For now, feast your eyes on these.